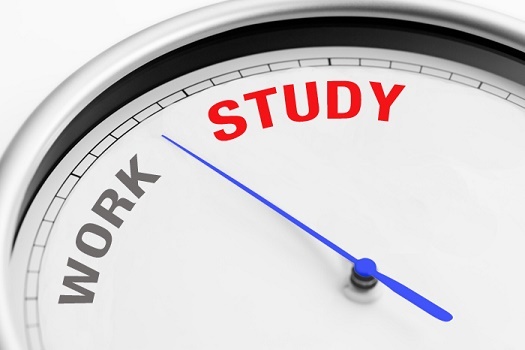 › Tips for Students › Work and Study: How to Find a Happy Medium? Work and Study: How to Find a Happy Medium? Nowadays combining work and studying is the reality of almost every student. There is no doubt that it is rather exhausting and hard. Anyway, it is possible to combine both without harm to your health. Inform your professor about your job. If you have difficulties with combining your work with the process of studying, let your professor know about the situation. This might inspire the latter to offer you flexibility regarding the deadlines of your course paper, essay, etc. We are all humans after all. Ask your family to give you a hand. Work, study and household duties can be too much. That is the reason why it is worth to ask your relatives to help you. Save your time on washing and cleaning and spend it on more important things like studying. In case if you are single, ask your friends to help you! Study at work. If you have some free time at work, make advantage of it. Instead of chatting about your new girlfriend or your boss, focus on your subjects. Read something and write something down. Your lunch brеak is ideal for this. If you are a commuter, spend the time on the way reading. Do not take on too much. If you study too much while you are working, it will not do you any good – you won’t do anything right. Chose your priorities and focus on them. Leave less important things for later. If you are a person that finds it difficult to refuse a request, you have to learn to say NO. Remember that every employee has his or her own responsibilities. Be ahead with your studies. Whenever it is possible, do some of your assignments in advance. Remember that there can be busy periods at work and you might stay late. You will not have a possibility to do your homework. This is one of the most efficient methods to combine your job with your studies without exhaustion. Say NO to stress! Keep in mind that our service is also able to help you in coping with your studies, namely academic writing assignments. Our highly qualified writers will help you with any kind of academic papers. Make sacrifices for your studies. When you combine studying and work, it is difficult to carve out some time for your hobbies. Anyway, it is normal to sacrifice something for the sake of your studying. Of course, you need some time for leisure, but opt for going for a walk rather than visiting an all night long party. Sacrificing is tough, but it is rewarding.